Indian Vanity Case: Colorbar Velvet Matte Lipstick Obsessed Orange ~ LOVE! Colorbar Velvet Matte Lipstick Obsessed Orange ~ LOVE! It may seem like I'm obsessed with orange lately. Yes.I.Am! I'm actually on a hopeless search for lingerie in this particular orange- something girly & lacy, with bows, two-piece, not swimwear. When I find those, then I'll start searching for orange suede/lace platform heels to match, she dreams some more. 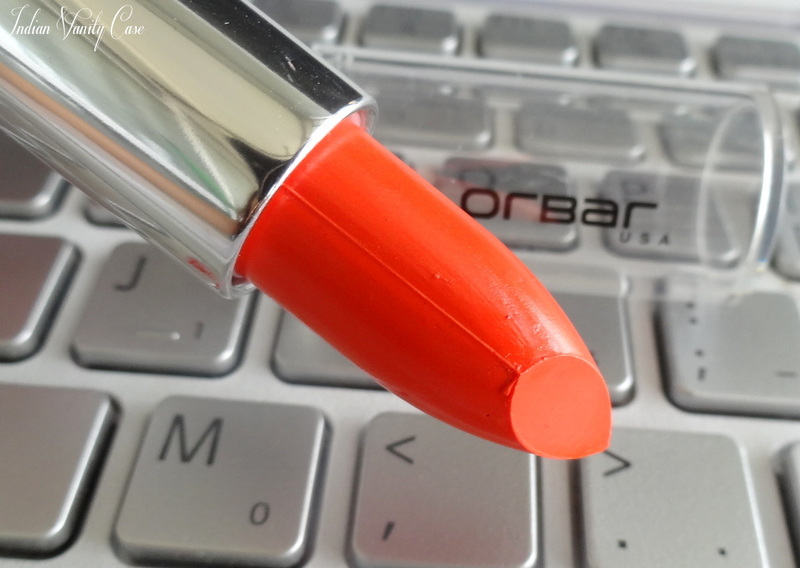 Oh look how beautiful Colorbar Obsessed Orange Velvet Matte Lipstick looks up there! It exudes confidence. It makes me think of Mischa Barton, I don't know why. This head. 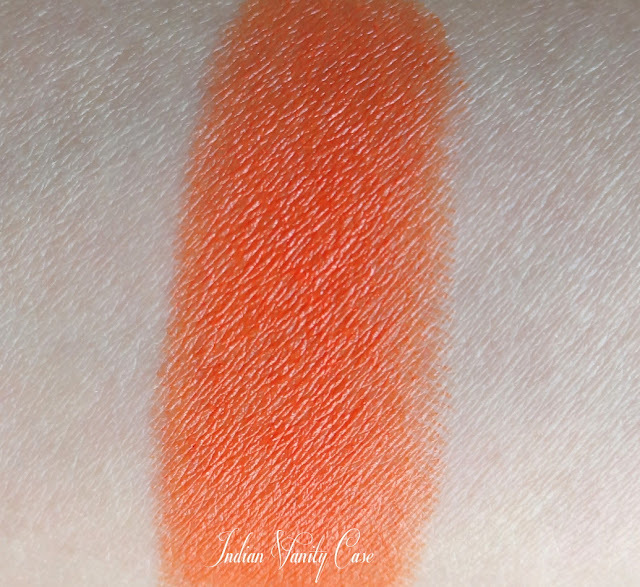 I love this orange, it doesn't make my teeth look yellow (some orange lippies do, actually) & the non-drying matte finish doesn't make my lips look chalky, considering it's a very bright color. 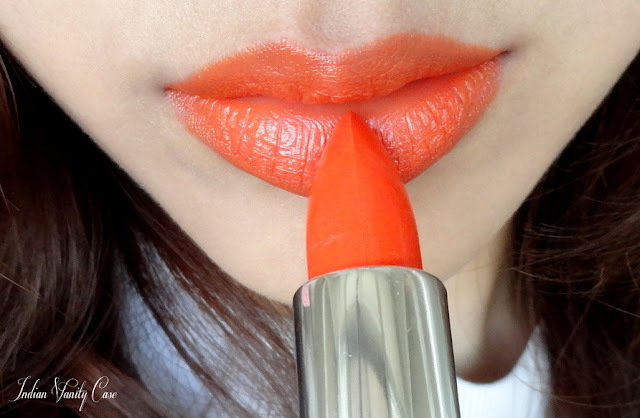 I have not tried a lot of orange lipsticks, but this would definitely make it to my Top 5 list when the time comes. 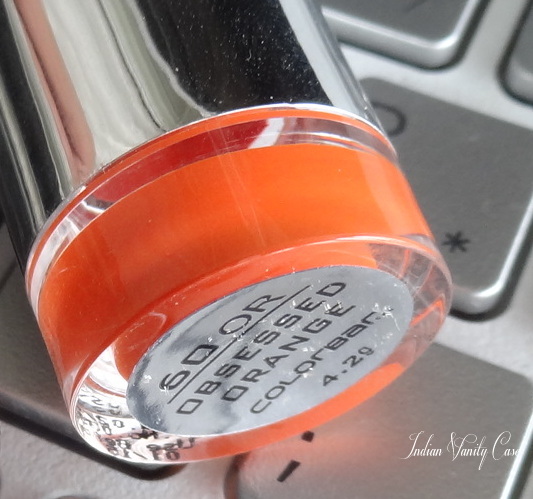 So, what do you think of Obsessed Orange? Buying or Skipping? Beautiful! Love that shade on you! You're so gorgeous! 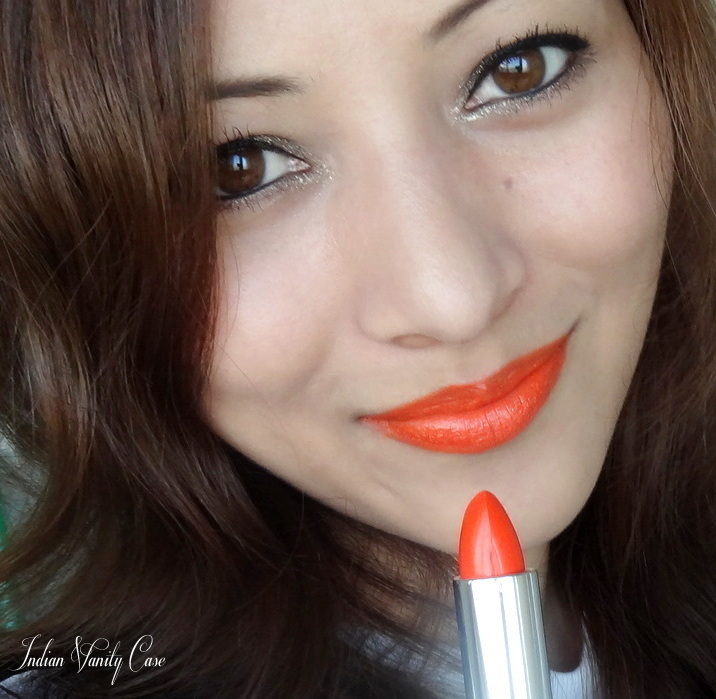 im a orange lippy lover , i think im gonna add this one in my collection soon !!! Hmm would orange colour blocked heels with pink and green work? I've it too. Some weird brand I got off urbantouch.com. It is candy orange too. Love it though I'm unable to use it much. I couldn't find this, so I got thrilling pink. I LOVE this orange on you! ...Granted...I love orange on anyone. It's one of my favorite lipstick shades. Is ColorBar available in the states? m not getting this particular shade anywhere................plssssssssssssssssss tell me where to get it frm. Hi Cynthia! Is this same as Mac Morange? Is there anyone here selling this online? I'm from the philippines and I really want this lipstick so bad.